Should I buy new faucets or commodes at the "do it yourself" center or chain store and call you to have them installed? If you are going to do it yourself then there is nothing wrong with purchasing the supplies at a Home Center. They will probably exchange a defective product for you. If your new faucet leaks or drips after a few months you can probably take it back and they will give you another one. The problem is that you will have to remove it and reinstall the new one yourself. You may have been sold a brand that parts are not readily available for, or another type may have suited your needs better. Plumbing professionals do not work in Chain Stores. They have invested years learning their profession and obtaining licenses and you won't find them in the aisles of do it yourself centers no matter what you are led to believe on the commercials. Plumbing professionals can make recommendations that often save you money. They are familiar with many brands not sold in chain stores, they know what will safely work and what won't, whether your tub valve just needs new trim or the entire valve needs replacing. Pressure balanced? Thermostatic? Will polished brass look good in a year with my water? Is this commode the same rough in dimension as my existing one? Will it work well on my old piping system? It looks good but will it flush consistently well? These questions and many more can be answered by a professional who has had years of experience in the field and not by someone who only sells the fixture and watches it go out the door. The biggest reason to buy from your plumbing professional is that he will provide the correct fixture and materials to do the job properly and will guarantee you will not have problems. We guarantee that if you have a problem within a year of the installation we will fix or replace whatever is necessary for free. Even if it is not our fault (the faucet leaks or the water heater goes bad). Ask your Home Center if they will come out and do that for you. I don't have much water pressure at the bathroom faucet, kitchen faucet or shower head? The aerators located on the end of the spout on the faucets can have debris in them that will slow down the stream of water. This is the most common reason and the easiest to repair simply by either cleaning the aerator or replacing it. Shower heads are not all alike and can perform differently from one type to the next and some get a mineral buildup over time. Have the emergency shutoff under your fixture checked to make sure it's fully open. Calcium and lime buildup can cause low water pressure. Also from time to time the water provider may work on the lines in the street and debris can enter the lines and end up in your plumbing system. There were some water heater anode rods that caused problems as well. Ask us about them. Even small drips can waste thousands of gallons of water, as much as 150 gallons a day! Be sure to check under sinks for moisture or small leaks. And always repair leaky faucets right away to avoid paying for wasted water and also to avoid water damage. Remove and clean your faucet aerators annually to ensure an even flow of water. Make sure overflow holes on tubs and vanities are clear and open to prevent water damage to floors and ceilings. Consider a water softener if spotting and mineral buildup on faucets or milky shower doors becomes a problem. Usually, faucet dimensions and sink openings are standard throughout the plumbing industry, so the answer is usually yes. There are a few exceptions, so check the size of the sink openings before you buy new fixtures. Measure the distance from the center of the left outside hole to the center of the right outside hole. The distance between can be called the center, usually 4 or 8 inches. We recommend having the fixtures supplied by the plumbing installer to get a warranty on the entire installation. To help prevent clogs, fit all your tubs and shower drains with a strainer that catches hair and soap chips, and clean the strainer regularly. Clogged drains are almost inevitable at some point especially in older homes with cast iron drains. Ask us about enzyme products that may help prevent buildup. In most homes, the kitchen and laundry drains are connected below the floor. When the lint from the laundry drains meets the grease buildup from soap and food products, a nearly solid substance is formed, causing blockage. Using filters and strainers will help, but you'll also need to get the drains cleaned periodically as well. Should the main water supply shutoff valve be opened and closed periodically? Yes. You want to make sure they're not stuck in the open position just when you have a water emergency! The same periodic check for the shutoff valves on your sinks, tubs, and toilets should be done as well. Be aware that hard water will take its toll on these valves and cause them to fail or become difficult to operate. If the valves have not opened or closed in a long time, they may leak or break causing flooding therefore we recommend having a professional check them. Noises can be fairly common in plumbing supply lines. If a washer in a faucet or valve is loose, you'll hear it rattling or knocking. If the sound occurs when you open and close faucets rapidly, it generally means pipes are loose, and can be corrected by anchoring pipes more securely. If it really bothers you, you can add shock arrestors at the end of long pipe runs. 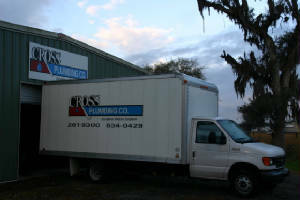 Their installation and location will require a plumbing professional. The main culprits can be tree roots, broken lines, back falling lines, collapsed piping, buildup in lines or grease and once the line is blocked, there is very little you can do. A plumbing professional can attempt to clear the line with equipment, however, once that is done we recommend the actual cause of the problem be determined and located with a video camera. Once the problem is diagnosed in this way a repair or replacement can be recommended. Properly installed sewer lines usually don't just stop up, whether it is due to a problem already mentioned or caused by flushing items that shouldn't be flushed. There are some products that may temporarily help with tree roots if that is the problem. Are caustic liquid drain openers (like the ones sold on the grocery store shelf and advertised on TV) harmful to pipes? For minor clogs, they may be fine, but never use them on a drain that is completely clogged. The caustic ingredients are trapped in your pipes, and it can severely damage them. A much better way is to have the drain cleaned with a cable or pressure washed. Contact a professional to do so. Never use caustic drain openers in a drain that has a garbage disposal. This is usually due to a sediment buildup in your tank or an element that has quit working. As water heaters grow older, they accumulate sediment and mineral deposits. If these deposits are not removed periodically, the sediment will create a barrier between the burner or element and the water, greatly reducing the water heater's performance level. Hard water once again can cause this. Consider having a water softener installed. Ask us about our stainless / nickel elements that perform even when immersed in scale. Periodically inspect the gas water heater burner. The flame under the heater should appear blue with yellow tips. If it's mostly yellow, or if it's sooty under there, the flue may be clogged, a dangerous situation. Contact a professional to check it out. At least once every two years, have your water heater inspected by a service technician. He or she will also check the drain valve, T&P valve, pan, drain lines, emergency shutoff valve, thermal expansion tank and age of the heater. Always use plenty of water when running your disposal, and avoid overloading it. Never dispose of very hard items like bones or corn husks. And never use a caustic drain opener. You can extend the life of your hands by never using them to remove items dropped inside - use tongs instead! Before calling a professional, be sure to try the reset switch located on the bottom of most disposals. Sometimes it is a small red button. If the disposal " humms" and doesn't allow the blades to turn, shut off the power, it may be " jammed". Some models come with a small tool to insert in the bottom of the disposal underneath to free up a "jammed" unit. Toilet leaks can be wasteful and expensive. At least once a year, check your toilet for leaks by adding a small amount of red food coloring to the tank, and then check the toilet bowl later. If the toilet bowl water is colored red, water is seeping through from the tank. If it is leaking, you may find that there are other needs the commode may have as well. Have the operation of the tank parts checked regularly. Cross Plumbing, (912) 634-0429 and (912) 261-9300, fax (912) 261-8300 | Base Content Copyright © 2019 Market Hardware, Inc.